Not a mall grab in sight The one in the middle looks like she's gonna bust out something nonchalant. 360 no-comply by the looks of it. Damn hard to find any pics online. I'll post a vid(in the correct thread). Oh, Hi Farrah! You want to join us here too? Come on in! For those who don't know (and who care about finding out) see Gamergate Controversy, in particular the section "Further Harassment". That's the term Warwick's using here to describe people who think women should be treated with respect. Funnily enough not a phrase plucked out of thin air. 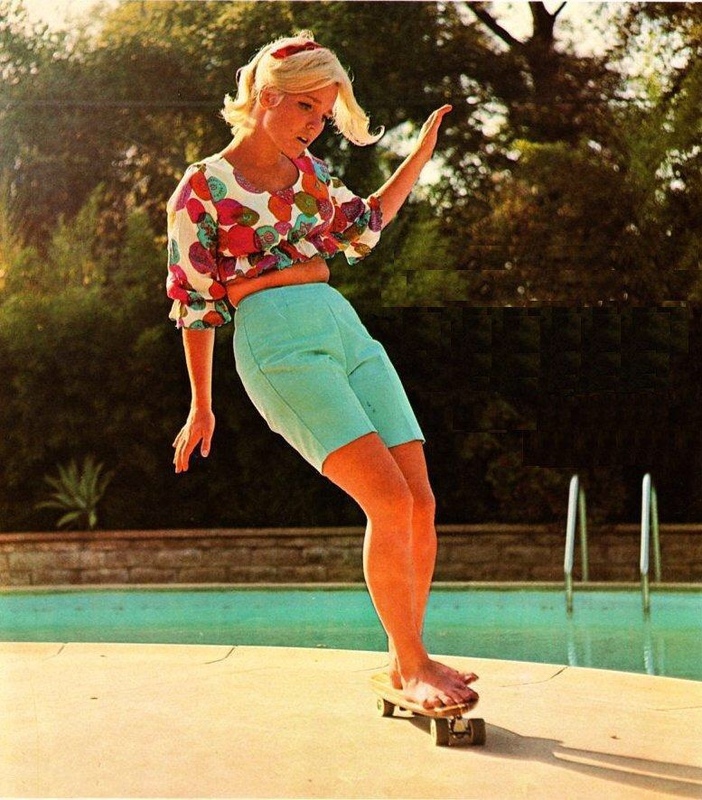 However, that first "skate betty" picture warwick posted appears to be Patti McGee, the 1965 Woman's first National Skateboard Champion. 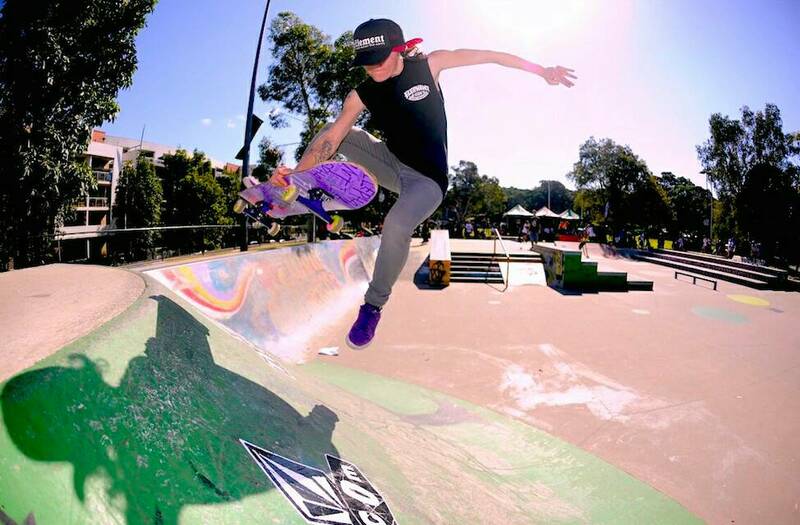 In 2010, she was inducted into the IASC Skateboarding Hall of Fame (the first woman). So my guess is that she wouldn't be too pleased about being referred to as a "Skate Betty" alongside Farrah Fawcett. So, to compensate for Warwick's continued unfortunate sentiments, here's another picture of Patti, this time on the front cover of Life Magazine, May 1965. She was shredding when (I'm guessing) you were still in nappies. Last edited by duck on Thu Oct 13, 2016 10:04 pm, edited 1 time in total. 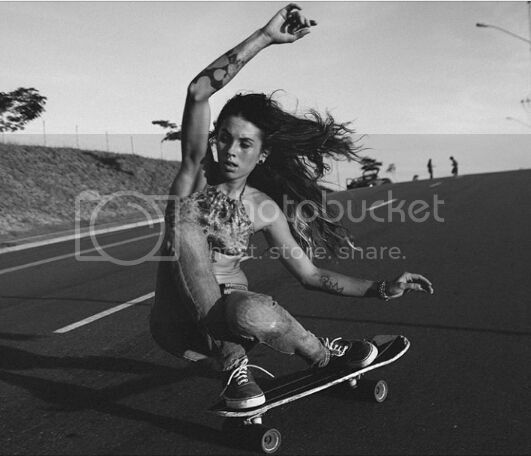 warwick wrote: Skate Betties' Road Trip! Wow, how very childish indeed ! You're now blatantly intending to provoke people ... very sad mate, pathetic even! Here's another video showing some brand new young female skaters - it's an event I helped organised last month in Midsomer Norton (although it was in a slightly sloped car park next to the skate park, rather than the skate park itself). 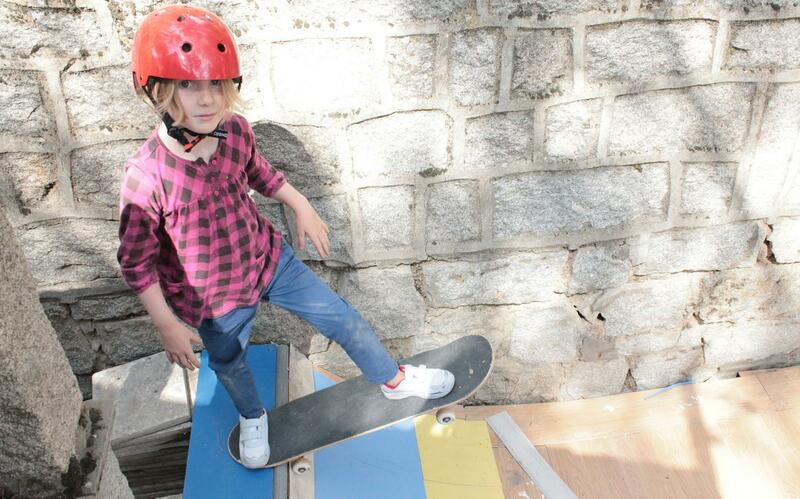 It was set up to encourage parents and their kids to try skateboarding together. We had loads of people come along with a good mix of boys and girls (almost 50:50, much better than you tend to see in the skatepark itself), and although not many parents actually joined in the skating which was part of the plan, all the kids joined in and loved it. Speaking to the parents afterwards, a lot of them said their kids hadn't tried skating before and now want one instead of their scooter! I also made a display which was on a table for people to read at the event, which showed a history of skateboarding through the decades, and Patti McGee was in the 60's section, which is why I recognised her above. They'll be popping up on Fridays when I get a chance(Feminista Friday since I'm oh so hip ). Sky: It's pretty humiliating when you've been skating nearly 30 years and some 7 year old girl kicks your arse. Kinda shows how much of a head game skating is. Kids see what can be done and just do it. No fear. And when is Birdhouse going to give Lizzie a pro model? Seriously, what does she have to do? Keel fish and a cruiser.Good choice. 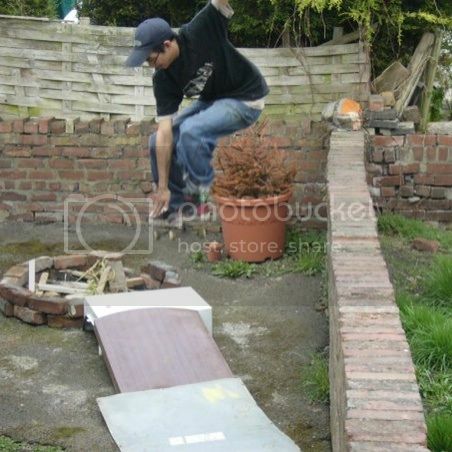 Yeah, someone put that on Facebook, and it just seemed to me the most 'Skate Betty' of all Skate Betty photos. I mean, what exactly is she doing? Where's she going with that surfboard? What's going on there? warwick wrote: what exactly is she doing? Where's she going with that surfboard? What's going on there? She's going to the beach. 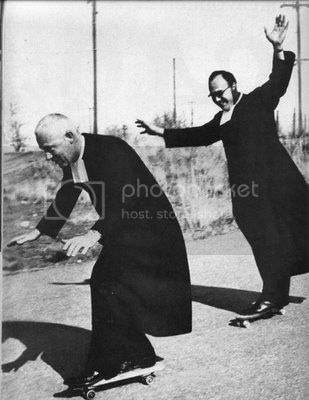 For a surf. That's why she has a surfboard under her arm and is in her swimming gear. Spend a couple of weeks in Hossegor during the summer and you'll see this sort of thing every day. Girls on longboards in bikinis, girls on bikes in bikinis, girls surfing in bikinis, etc. It's summer. It's hot. It's a generation of young women who didn't have the misfortune to grow up in a country where wearing apparel approriate to the weather and activity brands them as sluts or racy or attention-seeking. That shot may well be from a photoshoot for sponsorship or promotional reasons, but whether it is or not, it's just a reflection of beach culture in countries where women just get on with their lives regardless of drooling old men like us. It's just bodies. Men walk around in the summer just wearing shorts. Women walk around just wearing bikinis. It wouldn't work in an office or at a funeral, but it's the appropriate apparel for the situation. Doesn't mean anything more than that. Anyway, this thread's been going well so far. 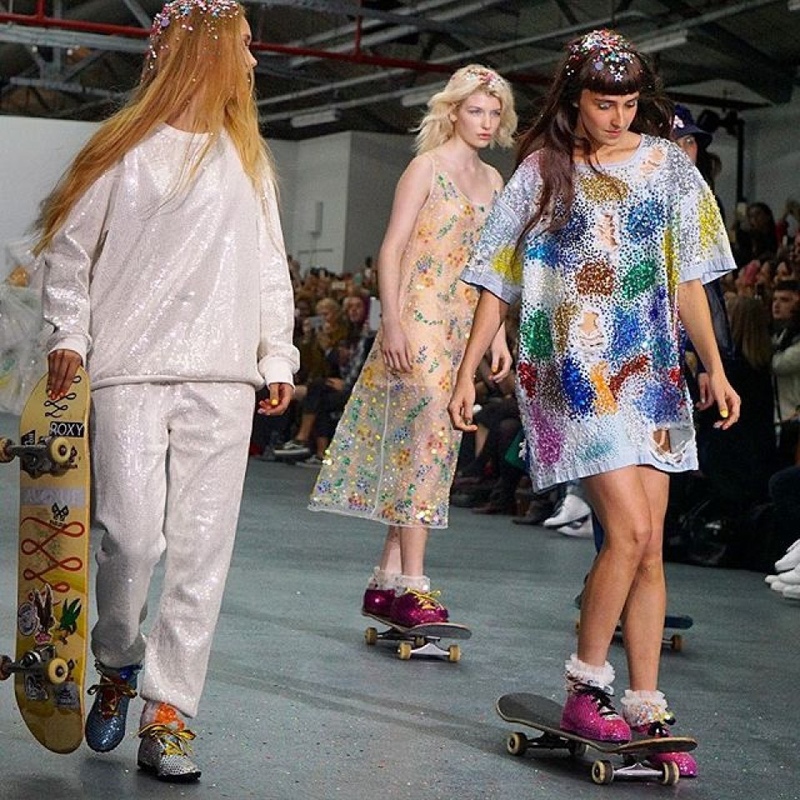 I have a ten year old daughter who skates, and I'd really like to be able to show her inspiring pictures of other girls and women who skate. It'd be nice if we can keep this thread inspiring, and not let it become just another place where she will see women playing to the male gaze and men reacting in a pathetic way. Can we manage that? 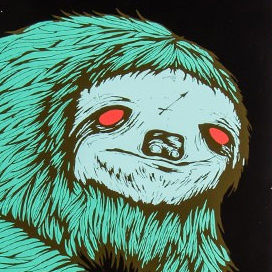 Oh, and while we're at it. Let's not turn this thread into a big bore-fest where we all spend hours telling each other how we're supposed to think about women and why we're all WRONG. We have a tendency to do that, and I'm as bad as anyone else. Let's just keep the pics and vids coming. Great shot. Looks like a ripping skater. A couple of recent things from Instagram. 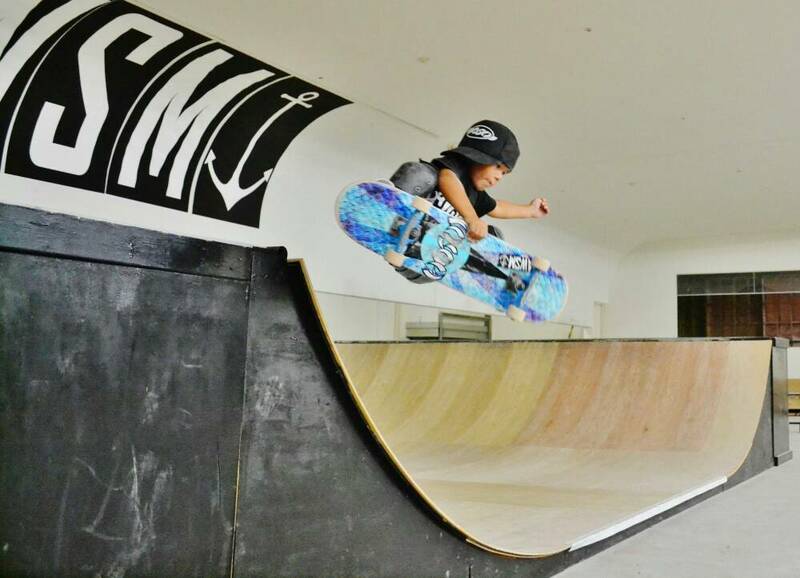 Are there many female skaters out there in mas land?